There are four planets in our solar system that are collectively known as the “gas giants,” a term coined by the twentieth-century science fiction writer James Blish. They are also called “Jovians,” as Jove is the Latin name for Jupiter, the largest of the four. The gas planets are made up almost entirely of gases, primarily hydrogen and helium. While they might have near-solid inner cores of molten heavy metals, they have thick outer layers of liquid and gaseous molecular hydrogen and helium and metallic hydrogen. The four gas planets in our solar system are jupiter, saturn, neptune and uranus. Jupiter's mass is 318 times greater than Earth's. 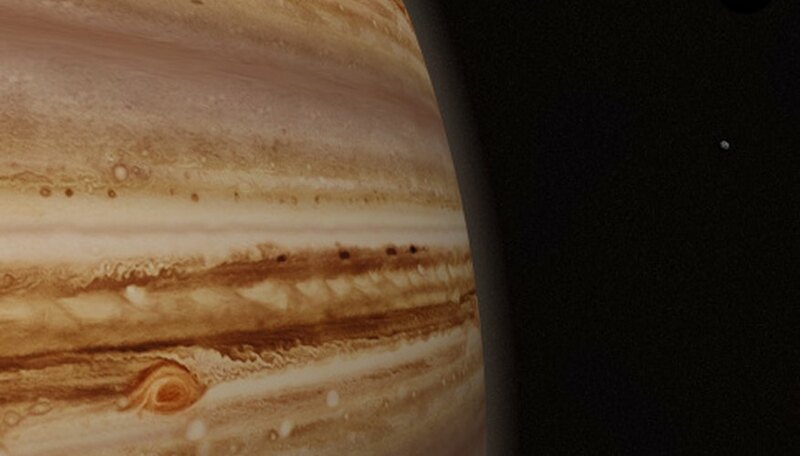 As Jupiter formed, it grew in size by swallowing up its outer satellites. Its differential rotation (an equatorial rotation shorter than the rotation at higher latitudes) is evidence of its liquid, gaseous surface. Jupiter’s magnetic field is 20,000 times stronger than Earth’s and it has the strongest radio emissions of any planet in the solar system. Jupiter is surrounded by a thin ring of dark material and as of April 2011 has 63 known moons in orbit around it, the largest of which are Io, Europa, Ganymede and Calliso. 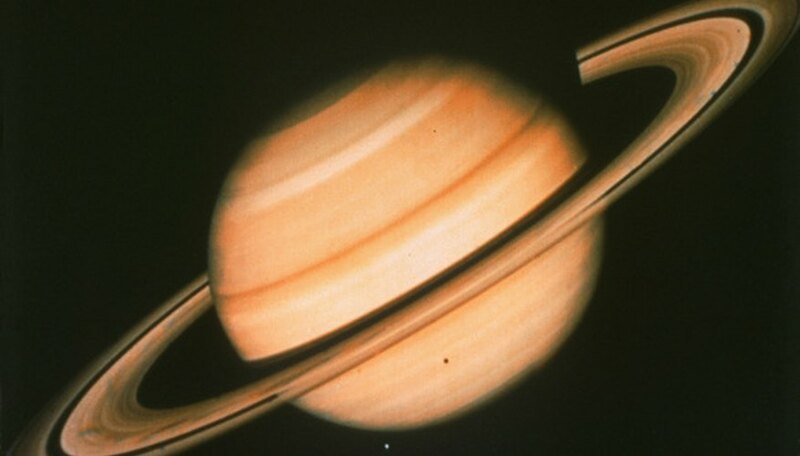 Saturn has the lowest density of any planet in our solar system. It has a rocky core composed of liquid metallic hydrogen and elements consistent with the primordial solar nebula (gaseous cloud) that formed the solar system. Saturn’s most prominent feature is its rings, first observed by Galileo in 1610. The rings are composed of millions of small particles of rock and ice, each having its own independent orbit around the planet. Although the other gas planets also have rings, it is not yet known why Saturn’s are so prominent. Uranus is the only gas giant with its equator at a right angle to its orbit. It was also the first planet to be discovered through a telescope. It has 13 known rings that are dark and composed of dust and particles up to 10 meters in diameter. Uranus has 5 large moons as well as 10 smaller ones that were discovered by the Voyager 2 probe. 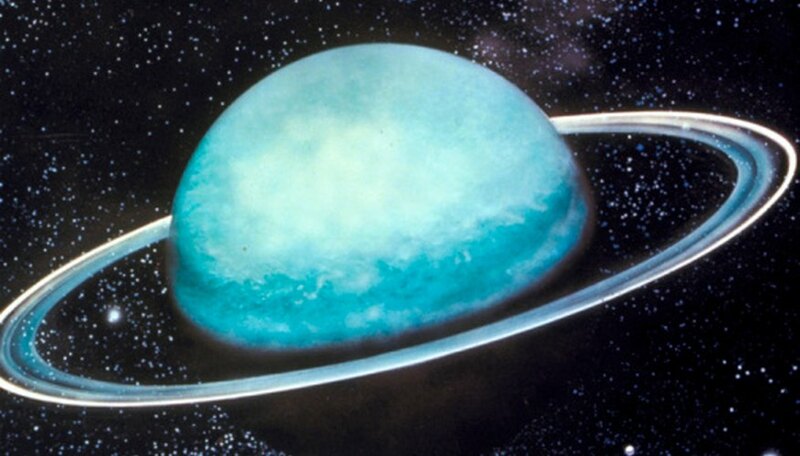 The methane in Uranus’s upper atmosphere is what gives the planet its blue color. Neptune’s existence was the first to be predicted by mathematical calculations before the planet was actually seen. 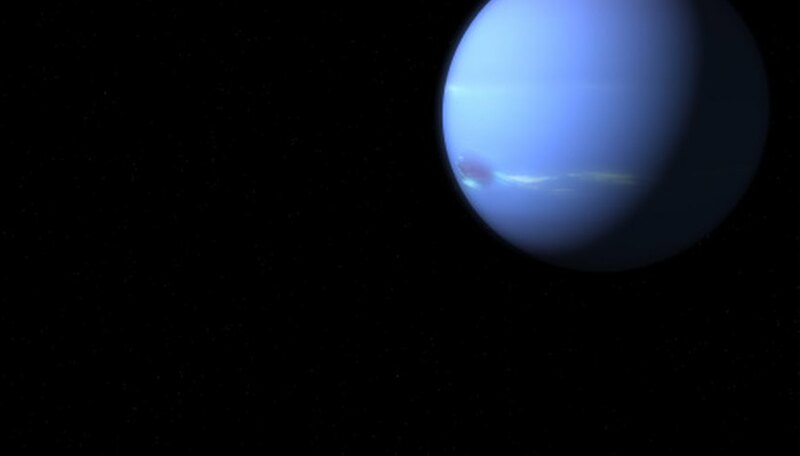 Neptune's mass is approximately 17 times greater than Earth’s. Its winds can reach up to 2,000 km per hour, the fastest in the solar system. 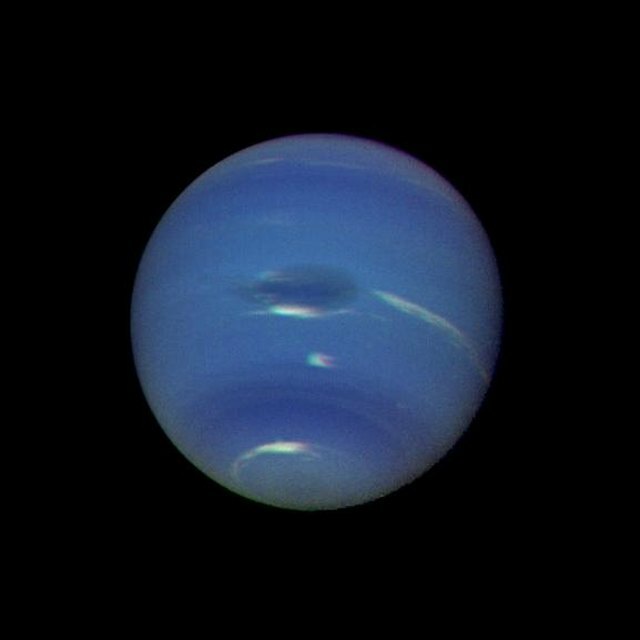 Like Uranus, Neptune appears blue due to the methane in its atmosphere, but Neptune also has vivid blue clouds; it is not known what gives the clouds their color. Like all the other gas giants, Neptune has rings. Prior to images from Voyager 2, these rings were only visible from Earth as faint, dark arcs. Their composition is still unknown. Neptune has 13 known moons, the largest of which is Triton. Triton is the only large moon in the solar system that orbits its planet in the opposite direction of its planet’s rotation. Dorward, Lisa. "Which Planets Are the Gas Planets?" Sciencing, https://sciencing.com/planets-gas-planets-8392334.html. 21 April 2018.